We all want to experience the true taste of modern living and nothing can define this more than waking up to a posh home every day. While this may seem like a fairy tale to many, the reality is that it is achievable. I’m happy to announce to you that the solutions are just but a phone-call away. Vancouver concrete connection holds the key to unlocking that dream. We have creative designs that are the results of compressed rubber mats. 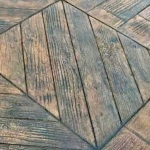 This mats produce patterns that mimic that of brick, stone, weathered wood, cobblestone and flagstones. Stamped concrete, is prepared by making patterns using large flexible polyurethane mats that are pressed into weak concrete to create a textured finish. This procedure helps create magnificent designs to be used for your pool-side walkways, patios and driveways. 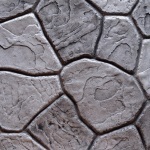 It’s a surety that stamped concrete transforms an ordinary patio, walkway or driveway to a work of art. You might be wondering why you should go to the trouble of incorporating coloured and stamped concrete while you could just go for something simpler like a plain brush finish. The thing is, with coloured concrete, the choice of colours and patterns one could go with are endless. This leaves you with a variety of patterns to get creative with. In addition, when considering the sale of your home in the future a stamped concrete driveway is a sure way of adding to the overall value. This could help you increase the value of your investment in a big way while at the same time improve the entire appearance of your home to prospective buyers. Many property owners are opting for coloured concrete for indoors as well as outdoors. Whether they gravitate towards a modern style or traditional one, with creative selections there is a high possibility to achieve the perfect look. Stained concrete can transform plain rooms or hallways to spectacular combinations of style and colour while having a polished concrete floor in your office or workspace can reduce maintenance costs and look good at the same time. Protect your patio or driveway with concrete sealer. Stamped concrete is in no doubt a vital form of property investment and you will definitely be interested in protecting your investment. 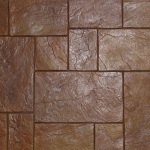 Protecting stamped concrete can be done by coating it with a concrete sealer. This will play a great role in preventing water and other minerals from making way to the exterior which would result to accumulation of pores in the concrete. The concrete sealer will also discontinue grass from growing in between the stamped concrete. Sealing your concrete is important when you notice the patio looks better when wet, whereas it is supposed to look better when dry. Another indicator is when your notice that the concrete is absorbing water readily and it darkens as soon as it gets wet. Those signs are indicators that it is an appropriate time to reseal. Wash the area thoroughly and allow it to dry then apply a clear concrete sealer coat on it. This can be achieved by the use of a roller. This is preferred because it ensures consistency on application and it displaces the risk of over-spraying unwanted zones of the home. Depending on how much traffic your patio gets, you should seal your concrete every two years. Driveways on the other hand could be receiving a lot of traffic and these may require application annually for the greatest protection. This may not seem important but giving your stamped concrete the proper maintenance it deserves will go a long way in protecting the concrete, rejuvenate its looks and ensure that cleaning of stains or debris is made easier. 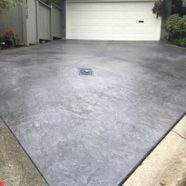 To get a quote for maintenance of your concrete driveway or patio from Vancouver Concrete Connection just give us a call and we will be happy to help.